If you have prize bonds (Issued by the Government of Pakistan) in large quantity then you must have this software. 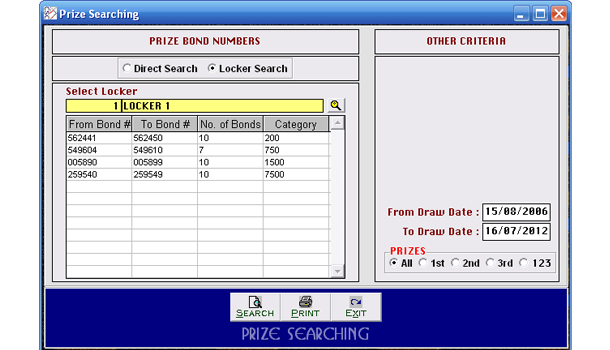 You can store all the bonds numbers of your & your friends / family in different locker and check winning status by just few clicks. 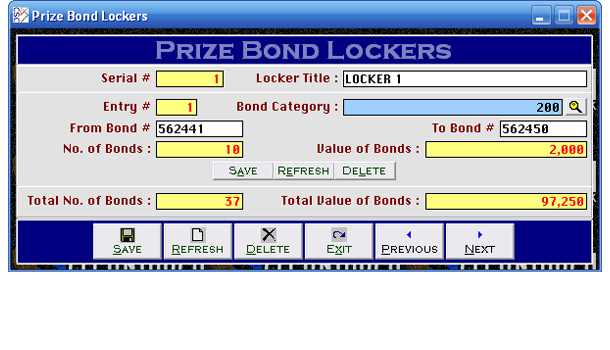 This software can be used by the business of Prize Bond Purchase & Sale. 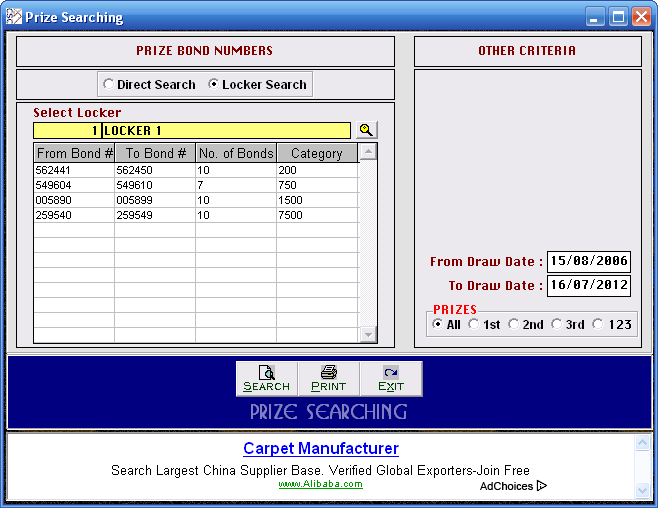 Instant search allow user to enter bond numbers directly to search by different methods. 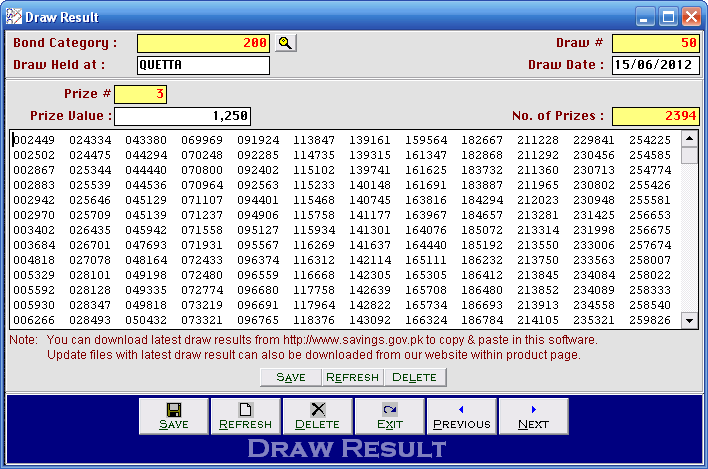 Prizes List provides great static of winning numbers. Many features of this software has never been introduced by anyone before. 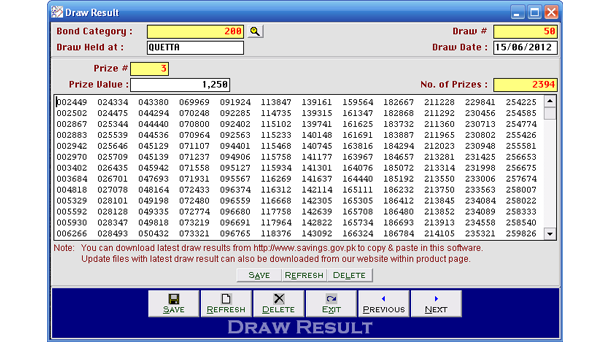 The software does not allow just searching, it gives you complete control over updating draw result yourself. We will try our best to update draw result download link within 5 days after each new announcement of result by the State Bank of Pakistan. 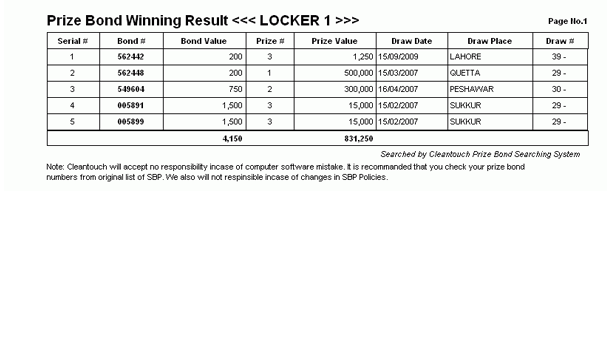 Usually SBP announce draw result on 1st and 15th day of each month. Copy all 5 (five) files and paste in software folder (To locate the software folder, click right button of mouse at software shortcut then click 'Find Target' button. In case of any problem, registered buyers can call / e-mail us for technical support.